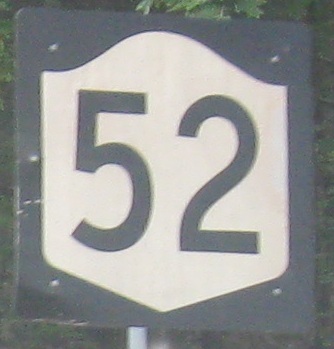 Just after the Canal St./Center St. split on the west side of Ellenville, NY 52 EB meets CR 52, which comes in from the west on Ulster Heights Rd./Cape Ave. That makes this a triangle of NY 52 EB (Canal), NY 52 WB (Center), and CR 52. Not confusing at all, nope. 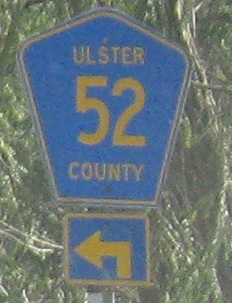 Ulster County couldn't even lay out its shield properly, that's how confused it got.